While others I know leap into Christmas music and gift-buying almost immediately after their Halloween costumes are off, I try and stave off yuletide cheer as much as I can. It just seems rude to Thanksgiving, the only holiday left it seems where we don’t have to buy a lot of presents, just eat a lot of food together, to leapfrog it. But, especially with Turkey Day running a little late this year, I get it. 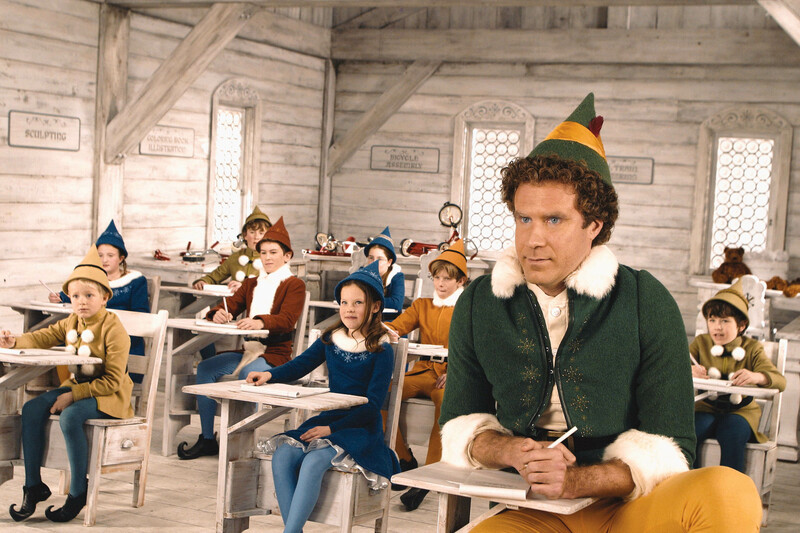 And I certainly get the idea of folks going out to see “Elf” next Wednesday, Nov. 27 at Sundance Cinemas to kick off Sundance’s Holiday Classics series. “Elf” is just such a cheerfully funny film, with Will Ferrell throwing himself into the title role with such unabashed glee, that it’s hard to resist. Wednesday, Dec. 4 — “White Christmas” — I hadn’t seen this Bing Crosby-Danny Kaye classic until my girlfriend and I watched it last Christmas Eve, and it’s such an interesting kind of holiday film. No kids, it really doesn’t kick in to Christmas spirit until about halfway through, and the recipient of holiday cheer isn’t some street urgent, but a crusty old general. I liked it — it feels like a very grown-up sort of Christmas movie, the kind you enjoy with a warm spiked drink after the kiddos are in bed. Wednesday, Dec. 11 — “National Lampoon’s Christmas Vacation” — This is the Christmas film in many households; who would have thought the sequel to a sequel would end up to be such a hilarious classic, and a reminder that, no matter how bad your family Christmas was, at least you cleared the squirrels out of the tree first. Wednesday, Dec. 18 — “It’s A Wonderful Life” — The troubling news that Hollywood may be attempting a sequel to Frank Capra’s classic will hopefully send many viewers back to revisit the original. It’s still my favorite film, mixing a life-affirming magical tale of family and community with a surprisingly dark and moving tale of class inequality, and of the necessity of trading in your childhood dreams for adult ones. It’s the one I watch every year, and see something new in it each time as I grow older.